Major Louis Joseph Sebille, United States Air Force. Place and Date: Near Hanchang, Korea, August 5, 1950. Born: November 21, 1915, Harbor Beach. Mich. The President of the United States of America, in the name of Congress, takes pride in presenting the Medal of Honor (Posthumously) to Major Louis Joseph Sebille, United States Air Force, for conspicuous gallantry and intrepidity at the risk of his life above and beyond the call of duty while serving with the 67th Fighter-Bomber Squadron, 18th Fighter-Bomber Wing, Fifth Air Force in action against enemy forces near Hanchang, Korea. During an attack on a camouflaged area containing a concentration of enemy troops, artillery, and armored vehicles, Major Sebille’s F-51 aircraft was severely damaged by anti-aircraft fire. Although fully cognizant of the short period he could remain airborne, he deliberately ignored the possibility of survival by abandoning the aircraft or by crash landing, and continued his attack against the enemy forces threatening the security of friendly ground troops. In his determination to inflict maximum damage upon the enemy, Major Sebille again exposed himself to the intense fire of enemy gun batteries and dived on the target to his death. The superior leadership, daring, and selfless devotion to duty which he displayed in the execution of an extremely dangerous mission were an inspiration to both his subordinates and superiors and reflect the highest credit upon himself, the U.S. Air Force, and the armed forces of the United Nations. Louis Joseph Sebille was born at Harbor Beach, Michigan, 21 November 1915. He was the son of Louis Joseph August Sebille, M.D., a physician, and Edna I. DeLish Sebille. In 1934, Sebille attended Wayne State University, Detroit, Michigan, where he was a member of the Gamma Phi Delta (ΓΦΔ) fraternity. He was also a member of the drama club. Sebille enlisted in the U.S. Army Air Corps as an aviation cadet, 19 December 1941. Cadet Sebille underwent flight training at at Tulsa, Oklahoma, Perrin Field, Texas, and Lake Charles, Louisiana. He was commissioned a Second Lieutenant, Air Corps Reserve, 10 July 1942. He then was assigned to MacDill Field, Florida, for advanced training as a Martin B-26 Marauder medium bomber pilot. Lieutenant Sebille married Miss Elizabeth Jane Young of Chicago, Illinois, at Barton, Florida, 26 September 1942. W.F. Hutchinson, a notary public, officiated at the civil ceremony. They would have a son, Louis Joseph (“Flip”) Seville III, born in 1950. “Lou” Sebille deployed to Europe with the 450th Bombardment Squadron (Medium), 322nd Bombardment Group (Medium), based at RAF Bury St. Edmunds. He was appointed a First Lieutenant, Army of the United States, 13 January 1943. The group flew the first B-26 mission from England, 14 May 1943, making a low-level attack against a power station at Ilmuiden, Holland, in enemy-occupied Europe. Lieutenant Sebille flew that first mission. The 322nd’s commanding officer, Lieutenant Colonel Robert M. Stillam, was killed when his B-26 was shot down. On 17 May, eleven B-26 bombers from the 322nd flew another low-level mission over Holland. Ten airplanes were shot down by antiaircraft artillery, and 60 airmen were lost. After that, the group concentrated on medium altitude attacks. 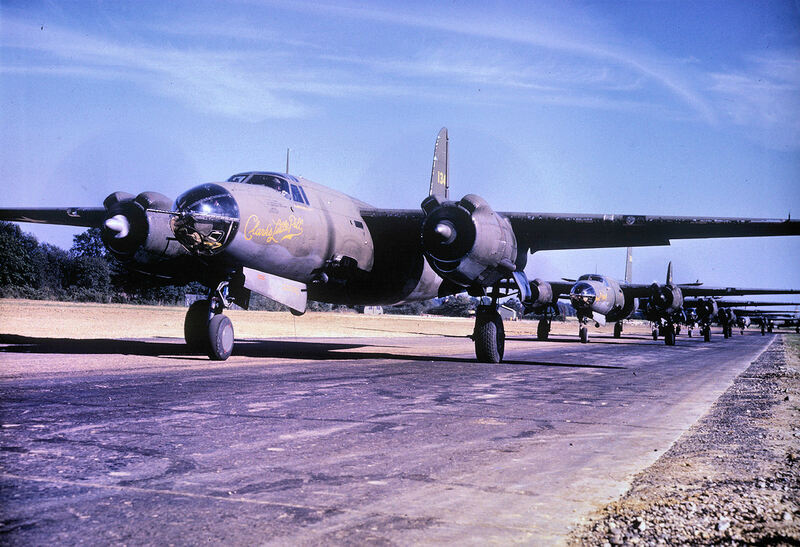 Martin B-26 Marauder medium bombers of the 322nd Bombardment Group (Medium) at Andrews Field (RAF Great Saling), circa 1944. Sebille was promoted to Captain, A.U.S., 17 August 17 August 1943, and to Major, A.U.S., 7 September 1944. After 68 combat missions, Major Sebille returned to the United States. In April 1945, Major Sebille attended the Airborne Radar Familiarization Course at Orlando, Florida. He was released from active duty 5 August 1945. His permanent rank was First Lieutenant, Air Corps, with date of rank retroactive to 21 November 1943. In September 1945, Major Sebille went to the Command and General Staff School, Fort Leavenworth, Kansas. Major Sebille was recalled to active duty in July 1946. 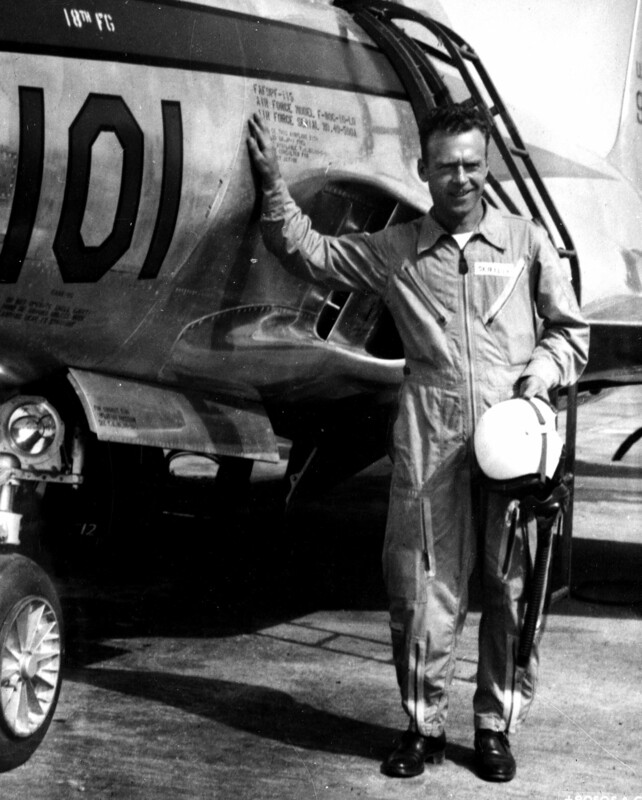 He held several staff assignments, before being assigned to the Air Tactical School at Tyndall Field, Florida. In September 1948, Major Seville took command of the 67th Squadron, Jet, 18th Fighter-Bomber Group, stationed Clark Air Base in the Philippines. At the outbreak of the Korean War, the 67th was transferred to Ashiya, Japan. 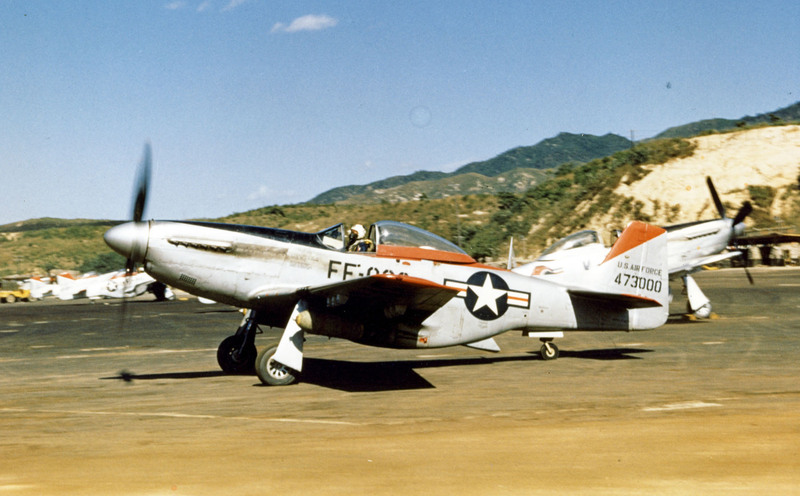 The aircraft flown by Major Sebille on 5 August 1950 was a North American F-51D-25-NA Mustang, serial number 44-74394. 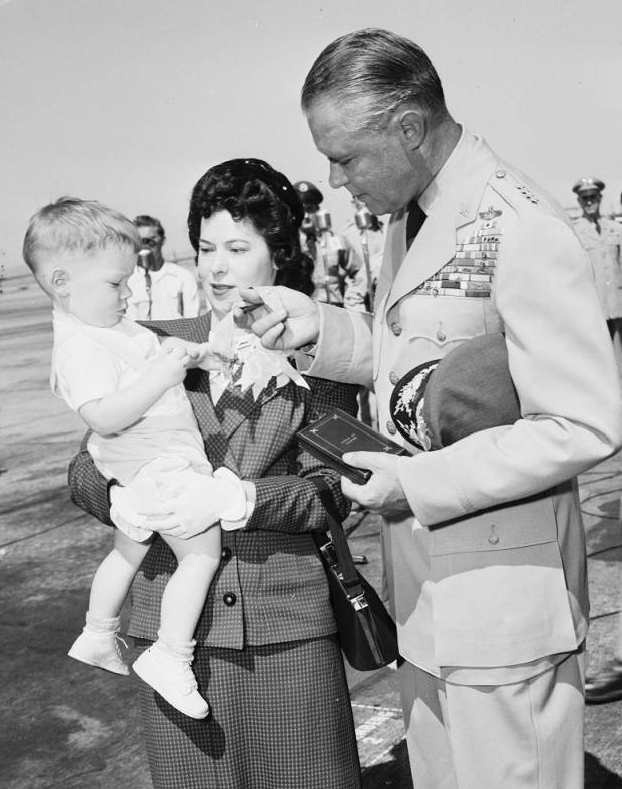 In a ceremony at March Air Force Base, Riverside, California, 24 August 1951, General Hoyt S. Vandenburg, Chief of Staff, United States Air Force, presented the Medal of Honor to Mrs. Elizabeth J. Sebille, Major Sebille’s widow, and their 17-month-old son, Louis Joseph (“Flip”) Sebille III. Major Sebille was the first member of the United States Air Force to be awarded the Medal of Honor since its establishment as a separate military service, 18 September 1947. 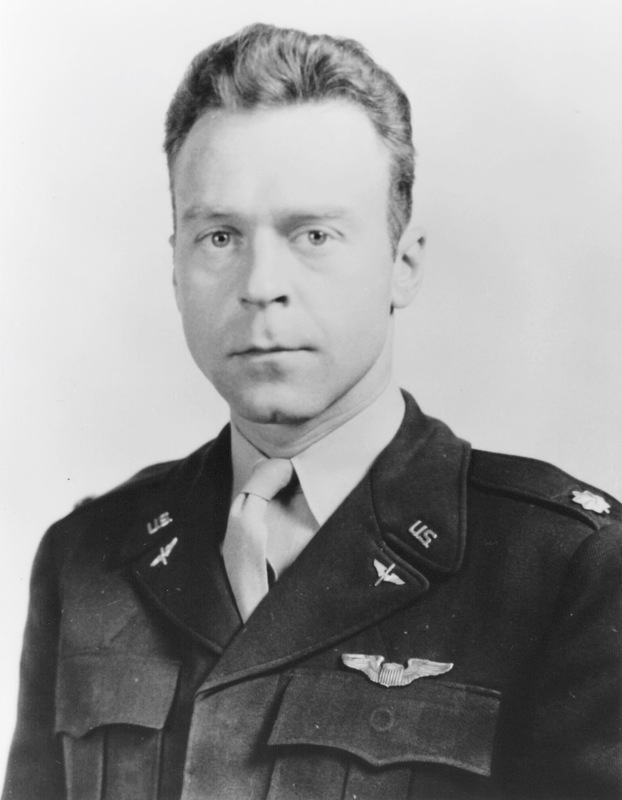 In addition to the Medal of Honor, during his military career Major Sebille had been awarded the Distinguished Flying Cross with one oak leaf cluster (two awards), the Air Medal with two silver and one bronze oak leaf cluster (twelve awards), and the Purple Heart. Major Sebille’s remains are buried at Forest Home Cemetery, Forest Park, Illinois.